Indian Natural Fancy Color Diamond & Jewellery manufacturer of india Pink Diamond Blue Diamond Black Diamond Yellow Diamond White Diamond Gray Diamond Milky Diamonds natural canary yellow diamond hongkong diamond manufacturer hongkong diamond supplier hongkong diamond exporter new york diamond manufacturer - Welcome to U.S.I DIAMONDS Pink Diamond Rough Yellow Diamond Rough Multi Colors Diamond Rough by - U.S.I Diamonds U.S.I. DIAMONDS is a Wholesale Diamond House based in the Heart of India Jaipur - PinkCity ( Princely town of India ) since opening its doors in 1975, it's reputation for proefessional integrity, quality of invetory and customer satisfafaction has spread throughout the Pacific Northwest and around the country. Mr. Salman Ali owner and head diamond Importer & Exporter, has over 35 years of experience in the diamond manufacturing business. In that time he has cultivated international diamond sources and business relationships, which bring his customers the most desirable diamonds at the most competitive prices.Our Company presents a collection of Diamonds & Jewelery, Natural Fancy Color Diamonds & Gemstones from arround the world. 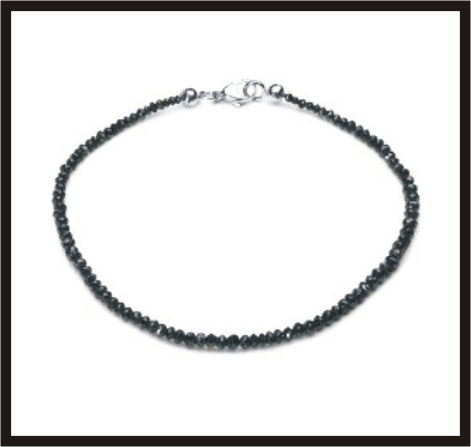 We don't display or sale any type of artificial, synthetic or simulated stones. 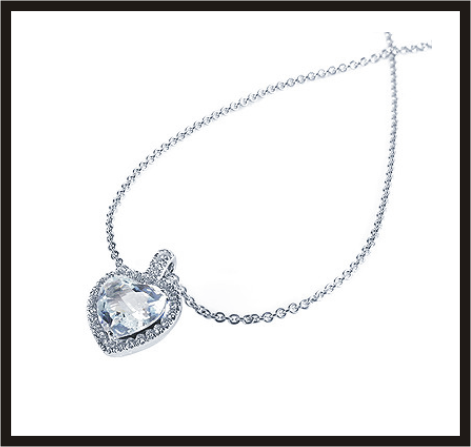 Here is online diamond & gemstone gallery for you. As stones are sold they replaced and new stones are added frequently. If you are looking for something in particular, We take request and do our best provide them. We are well known as a reputed Natural Fancy Colored Diamonds Manufacturer in India. We carry or have access to a full range of loose diamonds, White Diamonds, Natural Fancy Color Diamonds starting with GIA Certified-EGL Certified-HRD Certified-IGI certified & non-certified diamonds. We have diamonds for any budget and any teste & EGL Certified Diamond Jewelery. Our goal is to keep all of our customers satisfied and coming back to our store for a life time. U.S.I. DIAMONDS is a Wholesale Diamond House based in the Heart of India Jaipur - PinkCity ( Princely town of India ) since opening its doors in 1975, it's reputation for proefessional integrity, quality of invetory and customer satisfafaction has spread throughout the Pacific Northwest and around the country. Mr. Salman Ali owner and head diamond Importer & Exporter, has over 35 years of experience in the diamond manufacturing business. In that time he has cultivated international diamond sources and business relationships, which bring his customers the most desirable diamonds at the most competitive prices. 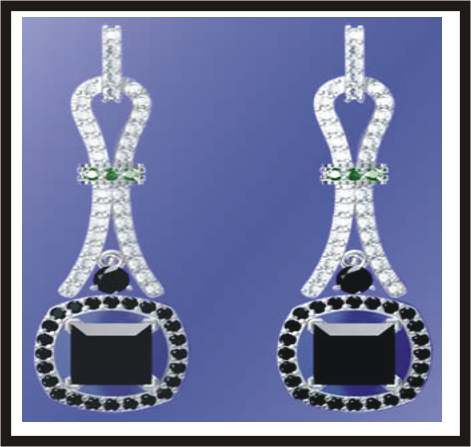 Our Company presents a collection of Diamonds & Jewelery, Natural Fancy Color Diamonds & Gemstones from arround the world. 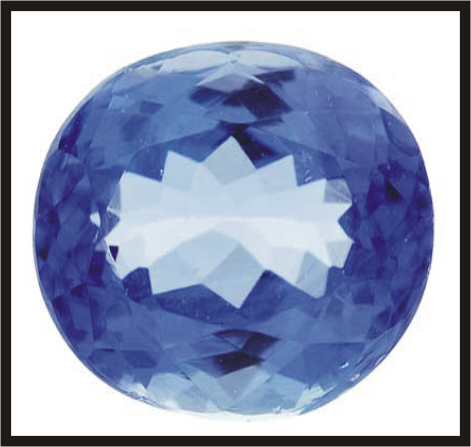 We don't display or sale any type of artificial, synthetic or simulated stones. 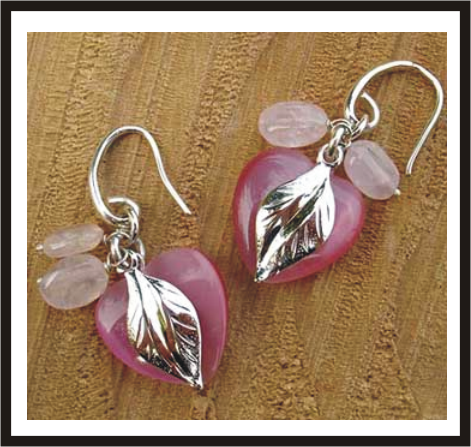 Here is online diamond & gemstone gallery for you. As stones are sold they replaced and new stones are added frequently. If you are looking for something in particular, We take request and do our best provide them. 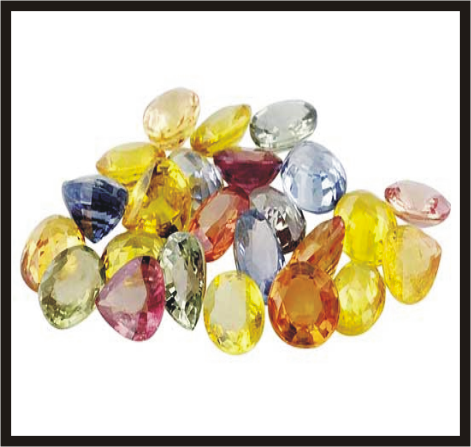 We are well known as a reputed Natural Fancy Colored Diamonds Manufacturer in India. We carry or have access to a full range of loose diamonds, White Diamonds, Natural Fancy Color Diamonds starting with GIA Certified-EGL Certified-HRD Certified-IGI certified & non-certified diamonds. We have diamonds for any budget and any teste & EGL Certified Diamond Jewelery. Our goal is to keep all of our customers satisfied and coming back to our store for a life time. Specialized in White & Fancy Colors Diamonds & Jewelry Manufacturing Co.
We specialized in Natural Diamonds manufacturing & marketing of Natural Fancy Color Diamonds, White Diamonds & Colored diamonds jewelry Natural Fancy Colored Diamonds like as Fancy Pink Diamonds, Australian Argyle Pink Diamonds, Fancy Blue Diamonds, Natural Black Diamonds, Yellow Diamonds, Green Diamonds, Orange Diamonds, Canary Yellow Diamonds, Cap, Golden, Chocolate, Brown Diamonds, Natural Red Diamonds,Gray Diamonds and more colored diamodns grading also we make Beautiful Rose Cut Diamonds, Colored Diamonds Beads Strand, Melee Diamonds particular mm sizes and colores suitable for all unites jewelers, diamond traders, retailers & diamond watch maker with our worldwide shipping. 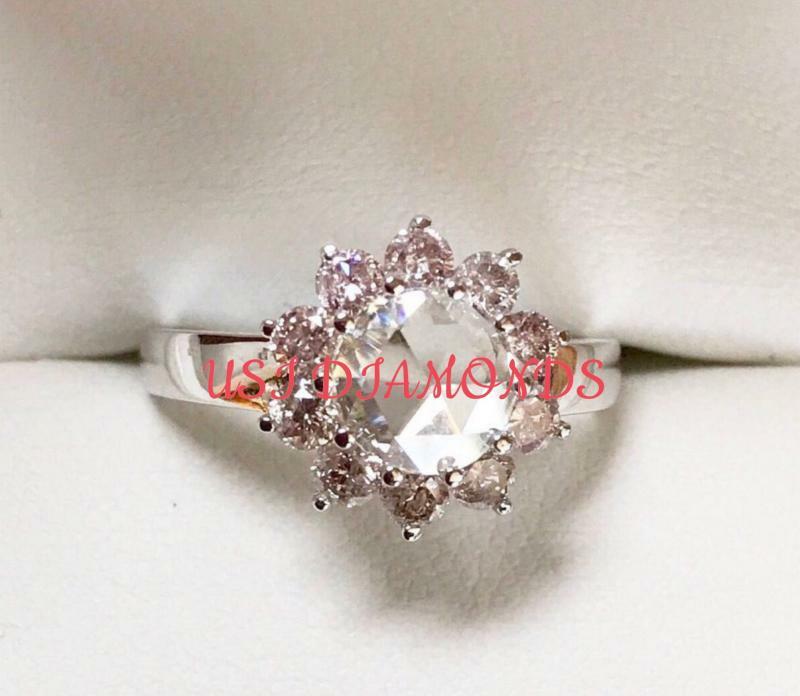 U.S.I Diamonds by Giovanni Enrico The Natural Diamonds Specialize in White Diamonds & Natural Fancy Color Diamonds 100% Authentic Natural Fancy Color Diamonds, Gold and Natural Colors Diamond Jewelry at affordable ﻿prices. We manufacturer and wholesaler supplier Industry is a professional level diamond cutting polishing house originated in 1960 situated at the prime location of India, Jaipur PinkCity. U.S.I. Diamonds Of Giovanni Enrico Diamonds founder of Specialist Diamond Instructor & HOD of Gemstones Artisans Training Center - Maintained by The Gems & Jewellery Export Promotion Council Mumbai), We engaged in all field of Diamond Manufacturing, ﻿We have deep knowledge of each thing about diamonds from rough diamonds to polished diamonds. We are engaged with each step of manufacturing. Skilled craftsmanship and 100% satisfied customer take us. We are India one of oldest Diamond Cutter-Polisher & supplier home. We are since three Generations in the Diamond Manufacturing POLISHING DIAMONDS. Its reputation for professional integrity, quality of inventory and customer satisfaction has spread throughout the Pacific Northwest and around the world. 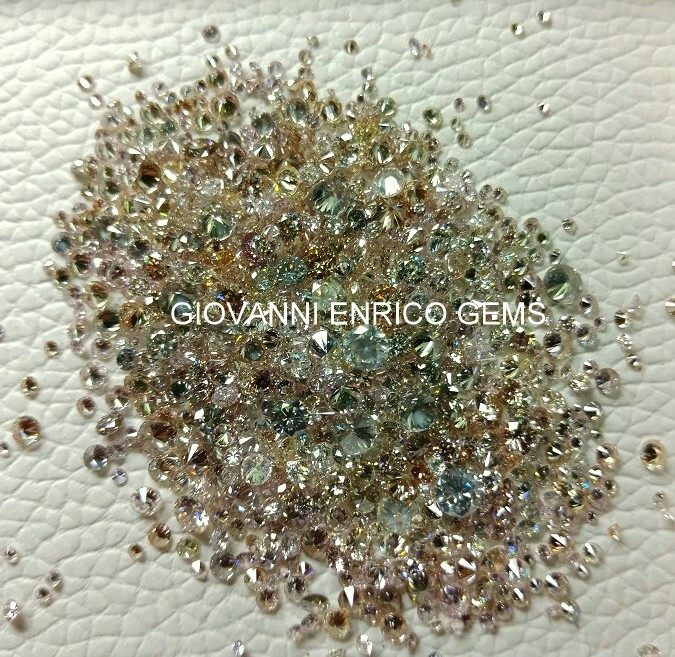 Giovanni Enrico Diamonds rough diamonds & gems Importer and Exporter of Wholesale prices of our Polished Diamonds & Gold Diamond jewelry worldwide. We Have over since 60 years huge experience in diamonds manufacturing. In that time we have a satisfied clients around the world﻿ cultivated international diamond sources and business relationships, he bring our customers the most desirable diamonds at the most friendly prices. Our Raw Diamonds & Color Stones are sourced direct from africa therefore our prices are very reasonable because we keep our overheads are best and do not have the high costs of the retail outlet. We have huge knowledge experienced in diamonds from rough diamond to polished diamonds manufacturing. We carry one of the largest inventories of White Diamonds & Natural Fancy Color Diamonds in a variety of colors, sizes and shapes at different price points. Our inventory is categorized using a standardized grading system thereby assuring our customers a consistent supply. We always carry large assorted inventories of our diamonds, We pride ourselves at being a one-stop shop to meet all your DIAMONDS & Color Gemstones needs. Don't see what you need Contact Us with your requirements. 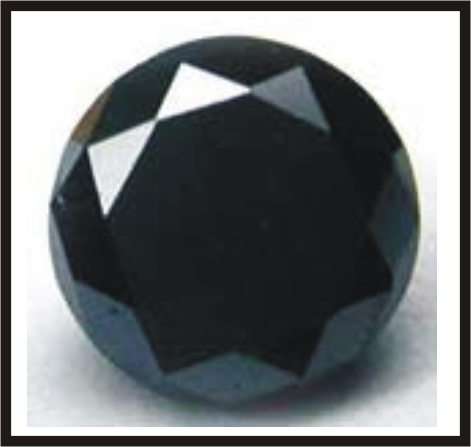 We have a large Inventory of loose diamonds & gemstones which is not able to listed here. We present a collection of White Diamonds & Rare Natural Fancy Color Diamonds, Australian (Argyle) Pink Diamonds & High Quality Color Gemstones at wholesale prices from around the worldwide market. 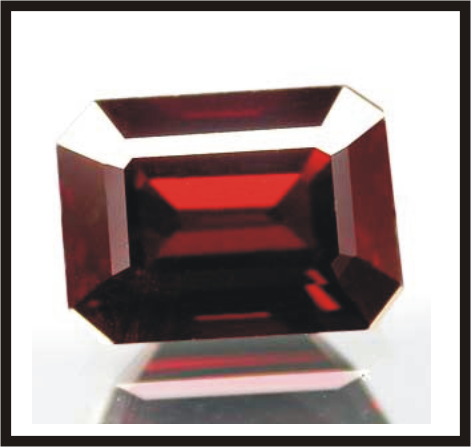 Here is online diamonds & color gemstone gallery for you. As stones are sold they replaced and new stones are added frequently. We carry or have access to a full range of loose diamonds, White Diamonds, Natural Fancy Color Diamonds, Natural (argyle) Pink Diamonds & High Quality Emerald & Sapphire starting with GIA Certified-EGL Certified-HRD Certified-IGI certified & none-certified diamonds. 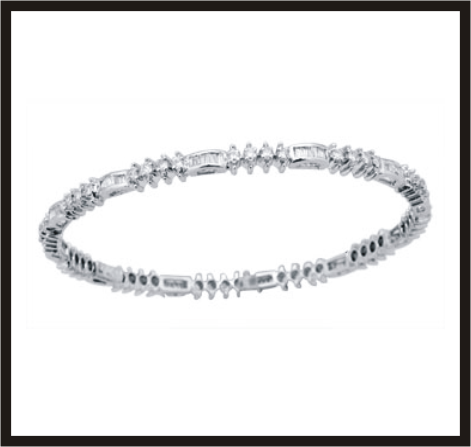 We have diamonds for any budget and any taste & Handmade Gold & Silver Diamond Jewelry. Diamonds become dirty when you wash your hands with a diamond ring on, soap scum clings to it. When you put on hand lotion, it gets grease on it. Shower with your diamonds earrings or necklace, and again, you get soap scum. In one short day, your brand new diamond could be dirty. ONE OF THE COMPETETIVE PRICES IN TRADE!! 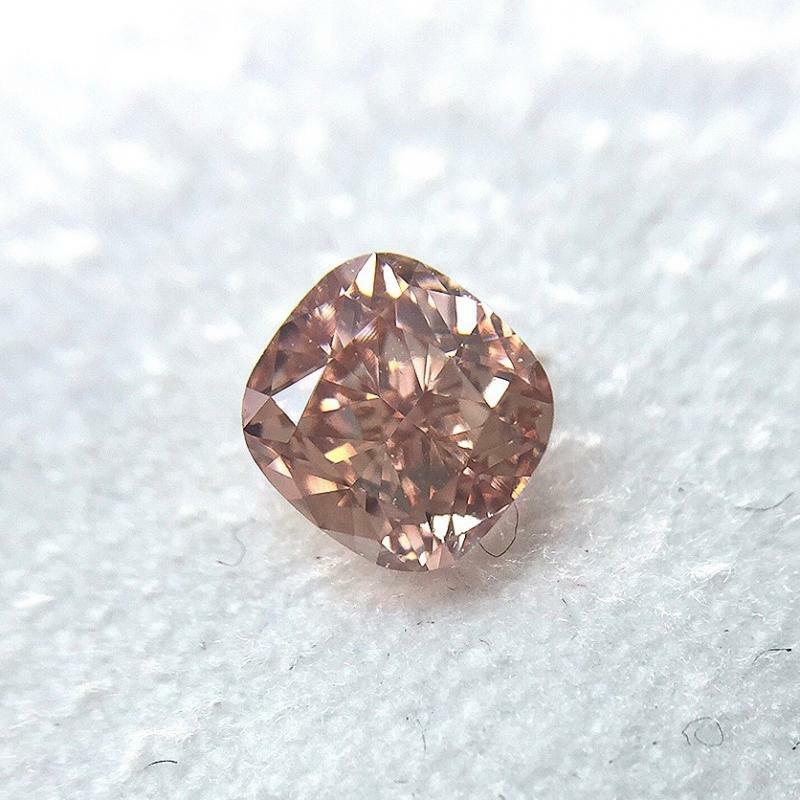 Natural Pink Color Diamonds Manufacturer at long lasting prices with us beautiful natural pink diamonds available here at best possible price. 0.50ct, Natural Fancy Purple Pink Diamond, Radiant Shape, Please email for price. 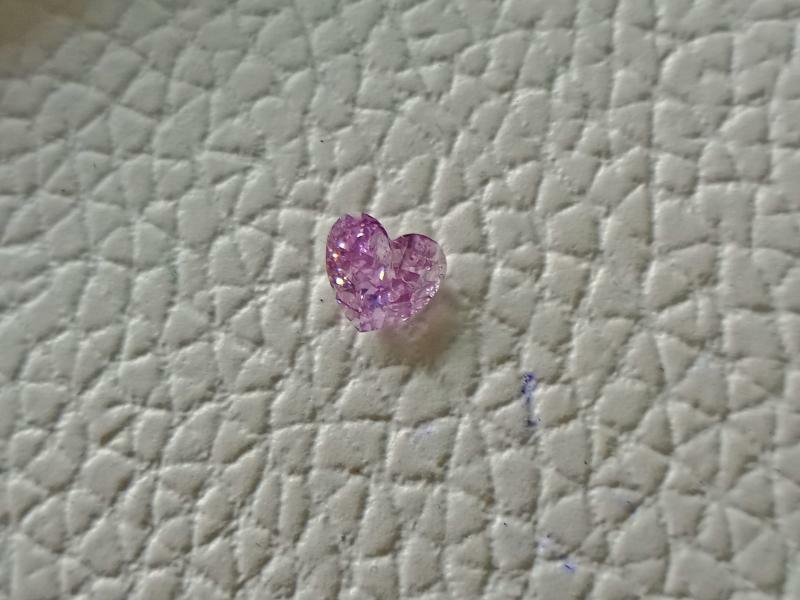 0.22Ct, Natural Fancy Intense Purple Pink Diamond, I1 Clarity, Heart Shape, Please email for price. 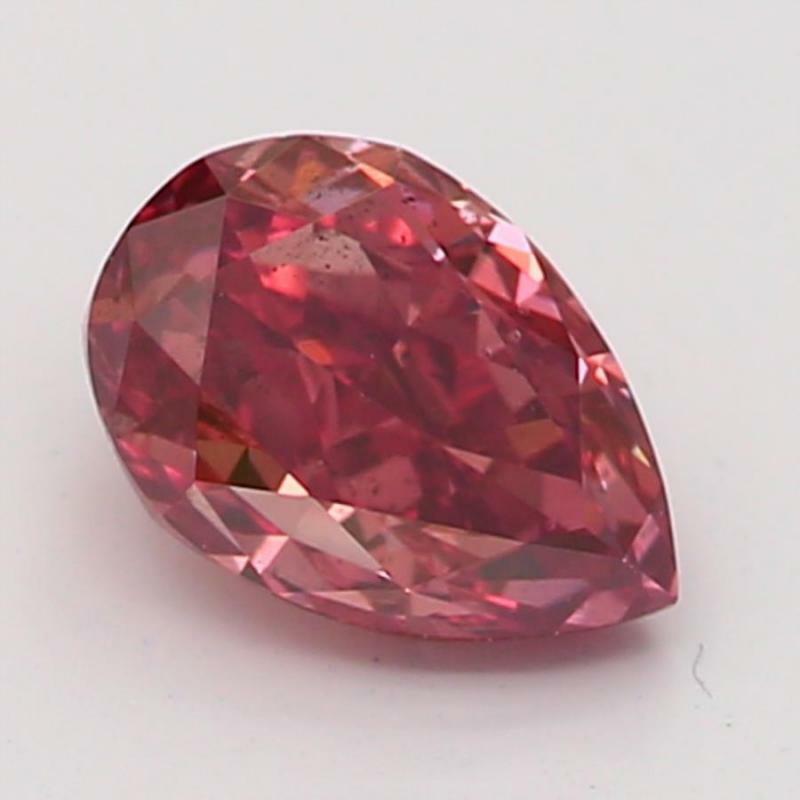 Natural Fancy Deep Pink Diamond. 0.36 Carat. SI1 Clarity. Pear Shape. Please email price. Natural Fancy Intense & Vivid Pink Diamonds parcel 13 diamonds, Weight 0.08 - 0.12ct, SI Clarity, Tdw 1.25carat, Please email for price. 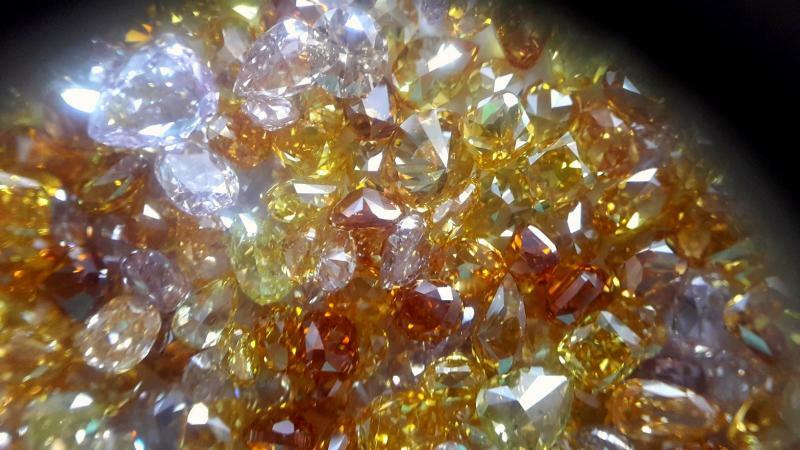 Diamond Description: NATURAL MIX FANCY COLOR DIAMONDS LOT, With rare Mix of Important Colors Include Natural Intense Pink Diamonds ( 0.02 - 0.04 ), Red Diamond ( 0.26 ), Intense Orange diamonds & Fancy Yellow ( 0.02 - 0.04 ), 11.00CTW lot, Total Sizes 0.05 to 0.26ct, Round Brilliance, Diamond Clarity SI1+, Please email for price. Fancy Light Blue Diamond / Fancy Intense Yellow Diamond. Rare Colors in beautiful shades of Blue 0.38ct & Yellow 0.25ct Cushion-Asscher Cut's, Clarity SI, Please email for price. A very beautiful white gold ring with Studded white 1 carat rose cut diamond, GH VS & Natural fancy purple pink diamonds. Heart Shape Natural Fancy Light Pink Diamond Ring with studedd White Diamonds round cut, White gold, Pls. email for price. Natural fancy pink diamond ring 14k Yellow Gold, Gold Weight 8Gram, Pink Diamonds Size 0.01 ( 1.00CTW ), Clarity SI1. Please email for price. 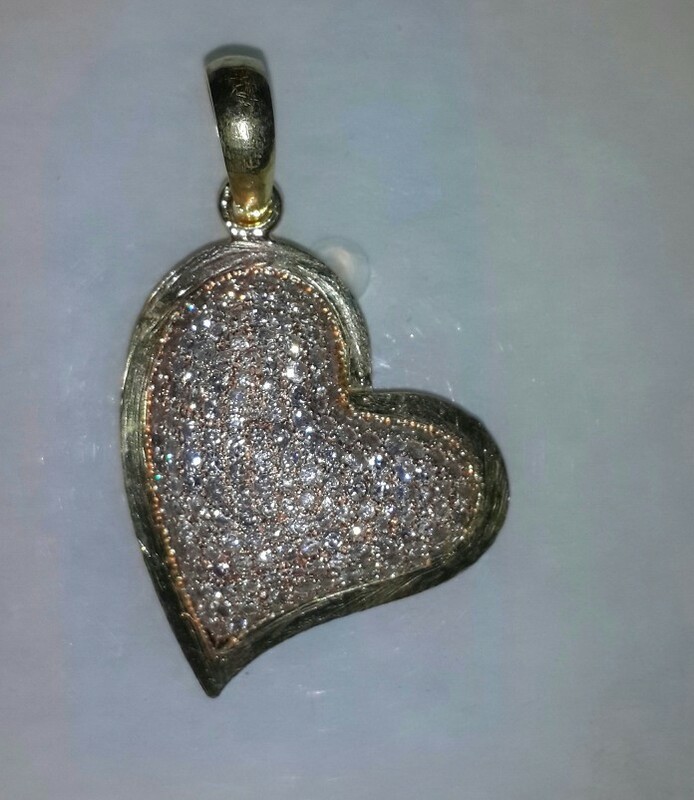 Heart Shape 18K Yellow Gold Pendant With Natural Fancy Pink Diamond, Size 0.01ct, Please email for price. 6 MM White Colorless Rose Cut Diamond, Color F, Clarity VS, Cutting Polishing EX, Pls email for price. Melee Diamonds G SI1+, weight from 0.03 to 0.14ct, Total 50 carat lot, RBC. Please email for price. 0.90MM to 2mm, G SI1 Melee diamond Very Good Cut Polish, also we give white melee diamonds F/G VVS & VS, Please e-mail for price. 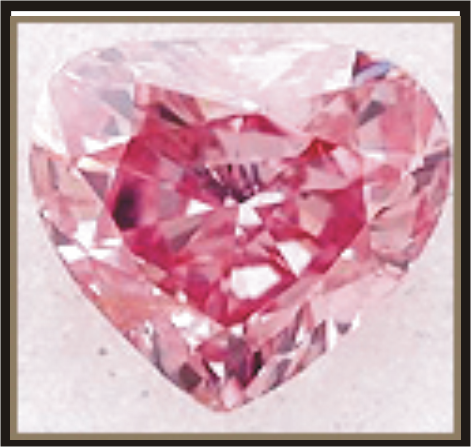 A " Natural AUSTRALIAN Fancy PINK DIAMONDS & REDDISH PINK DIAMONDS & Argyle Purple Pink Diamonds AVAILABLE WITH U.S.I DIAMONDS Natural Fancy Pink Diamonds pink diamonds and most shades between. Fancy color shades vary from Light Pink Diamonds, Dark Pink Diamonds, and Purple Pink Diamonds & Intense Vivid Pink Diamonds. New Latest Offers at Wholesale Lot & Price Information, Please you can choose also count diamonds for your jewelry natural color pink diamonds those are in SI1-VS Clarity., Very good cutting polishing with authorised certificate company. Our Natural Fancy Pink Diamonds Melee parcels availabe at super reasonable prices every parcel with coming gia - igi certificate. 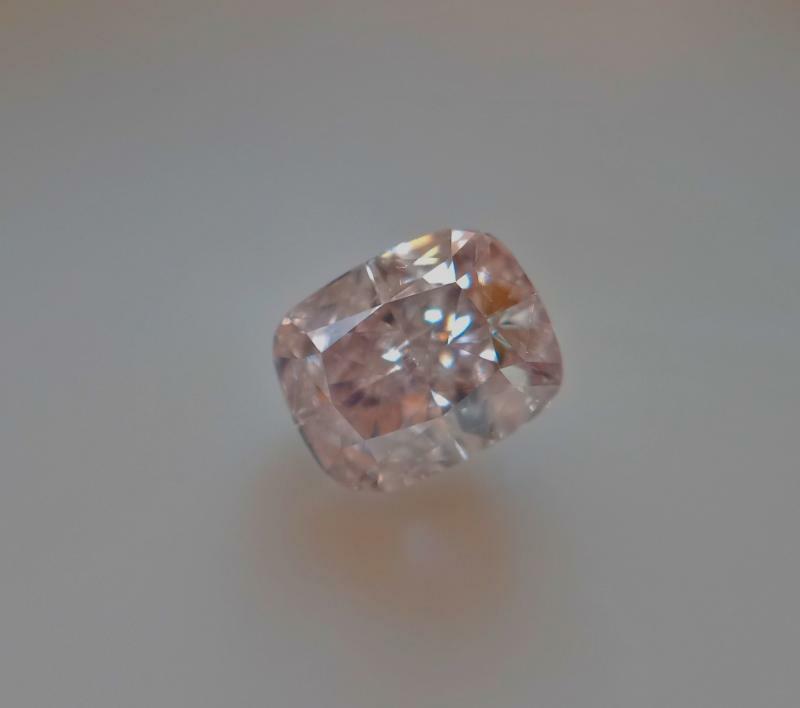 Natural Fancy Medium Pink DIAMONDS, 13.00CTW lot, 1mm to 2.5mm Round Cut, Diamond Cutting Polishing Very Good, Clarity SI1, Please email for price. 5-PCS 0.13-0.14Ct Size AUSTRALIAN ARGYLE FANCY PINK DIAMOND TDW 0.68CT, CLARITY SI1, ROUND CUT, CUTTING POLISHING VERY GOOD, Please email for price. ARGYLE AUSTRALIAN FANCY MELEE DARK PINK DIAMONDS LOT 1MM TO 1.3MM, TDW 18.77 Ct, CLARITY SI3, ROUND CUT, CUTTING POLISHING VERY GOOD, Please email for price. AUSTRALIAN ARGYLE FANCY MEDIUM PINK DIAMONDS & INTENSE ORANGE DIAMONDS LOT 9 CTW, SIZE 1MM TO 2MM, ROUND CUT, CUTTING POLISHING VERY GOOD, CLARITY SI1, Please email for price. 4.00 CTW Lot Natural Australian Intense Pink Diamonds & Australian Light Pink Diamonds parcel, Size 0.02 to 0.07Ct, Round Brilliance, Diamond Clarity SI1, Diamond Cutting Polishing Very Good, Please email for whole parcel price or count diamond, Please email for price. 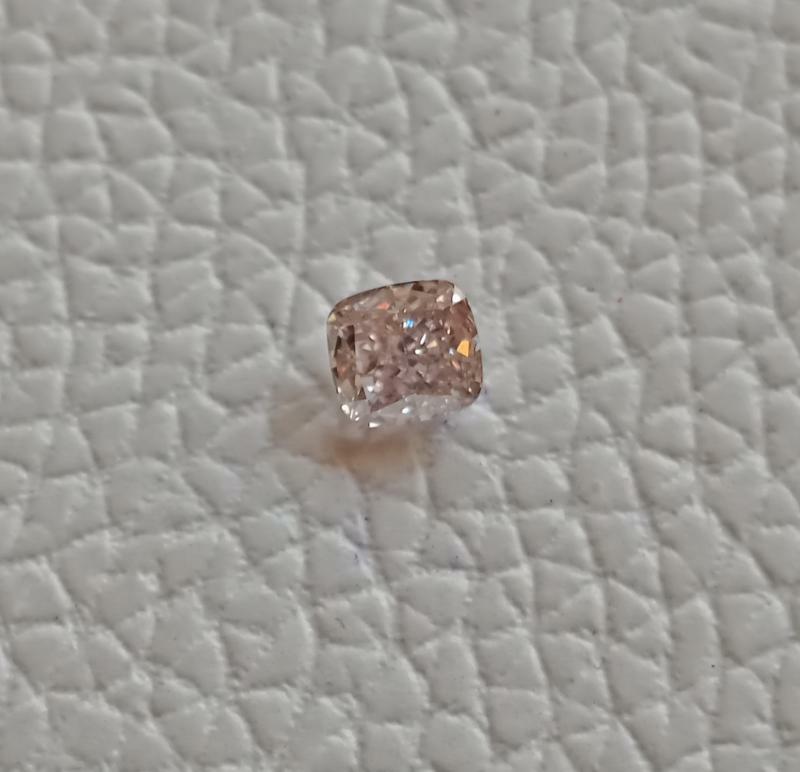 1.15 CTW Lot, Natural Australian VIVID PINK Diamonds, Size 1mm, Diamond Clarity Eye clean, Diamond Cutting Polishing Good, Round Brilliance, Please email for price. 18.00 CTW Lot, Natural Australian Intense Pink Diamonds, Size 0.01 to 0.02ct, Round Brilliance, Diamond Clarity SI1, Cutting Polishing Very Good, Please email for all parcel price or can choose count diamonds price. 10.00CTW Lot Natural Fancy Australian Bright Pink Diamonds 1mm - 2mm, Round Brilliance, Please email for price. 30 pcs, Natural Fancy Pink Diamonds 0.10, 0.12, 0.14-0.15, 0.18ct, 0.20 & 0.22ct, total weight 3.11ct small lot, Round Brilliant cut, Cut polish VG, Please e-mail for price. Natural Color Rose pink Diamonds Size 0.005 to 0.02ct, SI1 Clarity, Please email for price. Melee, Natural Fancy Pink Diamonds, SI Clarity, Round Brilliant Cut, Please email for price. 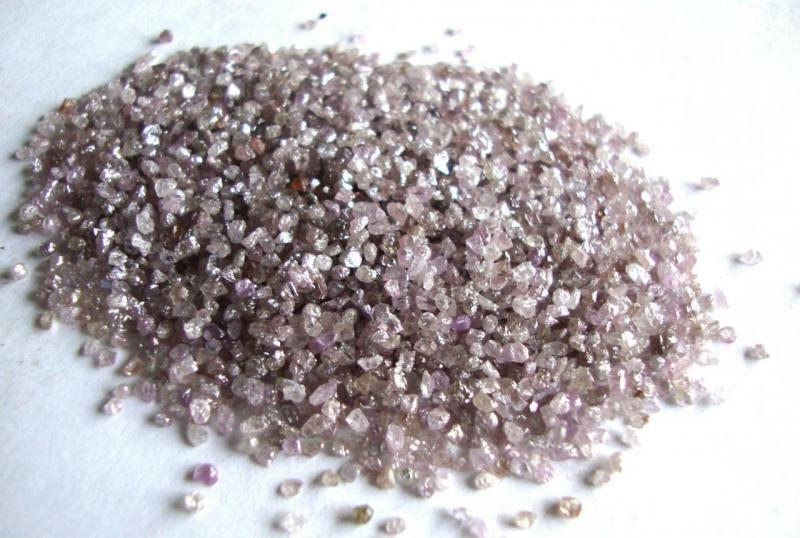 Natural Fancy Pink Diamond, +2 -6 Sieve, 30 Carat Parcel, SI Clarity, Please email for price. 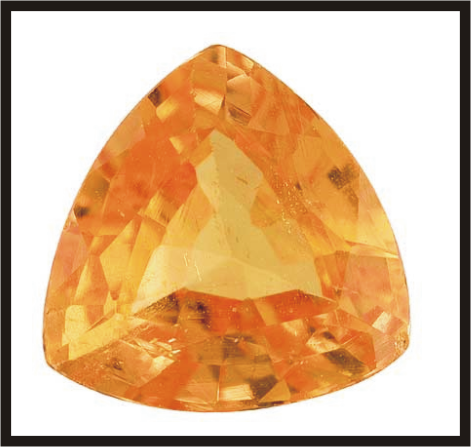 Melee For Natural Fancy Intense Orange Diamonds, 30 ct parcel, SI clarity, Round Brilliant Cut, Please email for price. 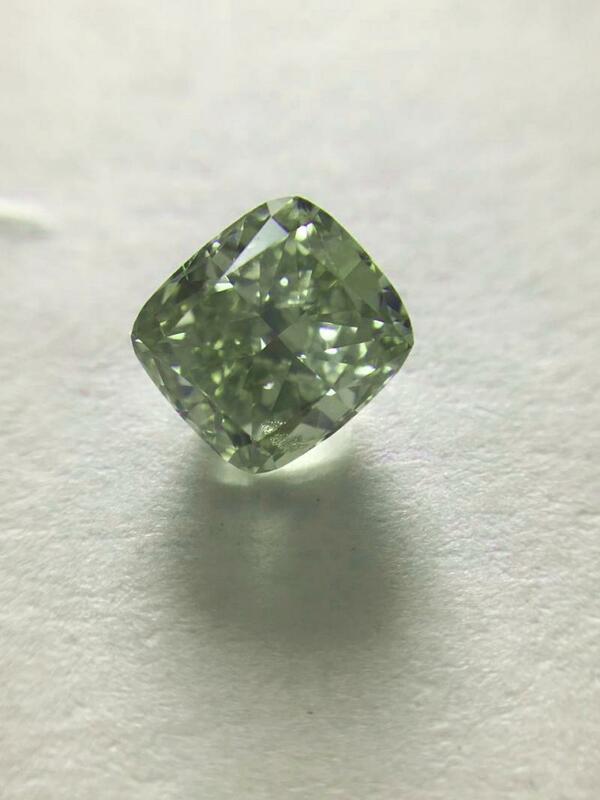 1.00ct, Natural Fancy Intense Green Diamond Cushion Shape, SI1 Clarity, Please email for price. 0.80mm to 2mm, Natural Fancy Light Pink Diamonds, SI Clarity, Round Brilliant, 50 carats, Please email for wholesale price. 0.05 to 0.20ct Sizes, Natural Light Pink Diamonds 24 carat parcel, SI Clarity, Round Brilliant Cut, Please email for prrice. 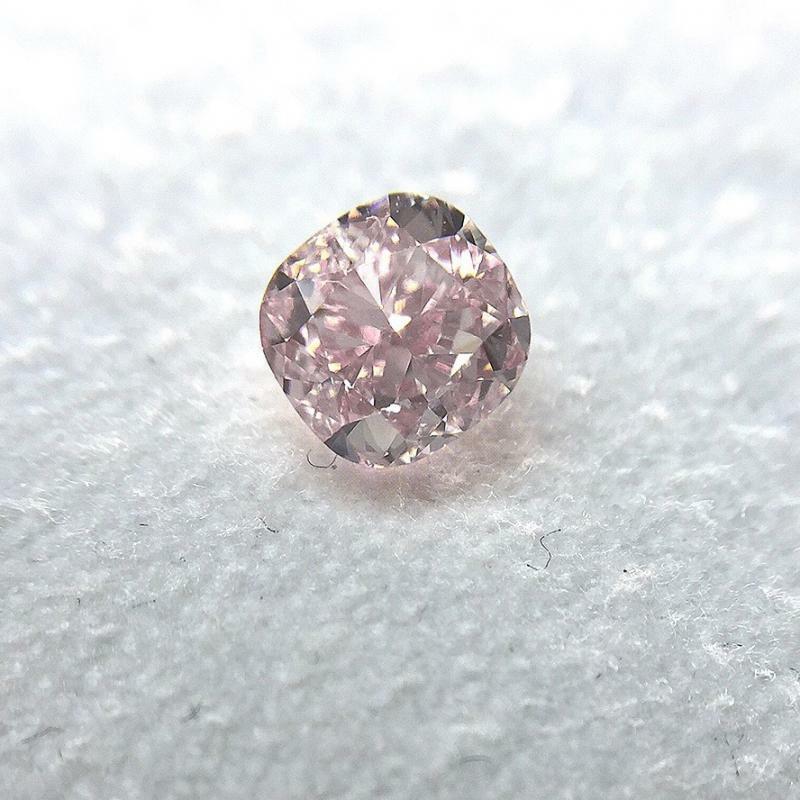 1 MM, 100 pcs of Natural Fancy Intense Pink Diamonds, Round Brilliant cut, SI Clarity, Please email for price. Natural Fancy Intense Green Diamonds 0.10 pts size, 30 carat parcel, round brilliant cut, VS-SI Clarity, Pls email for more details and price. 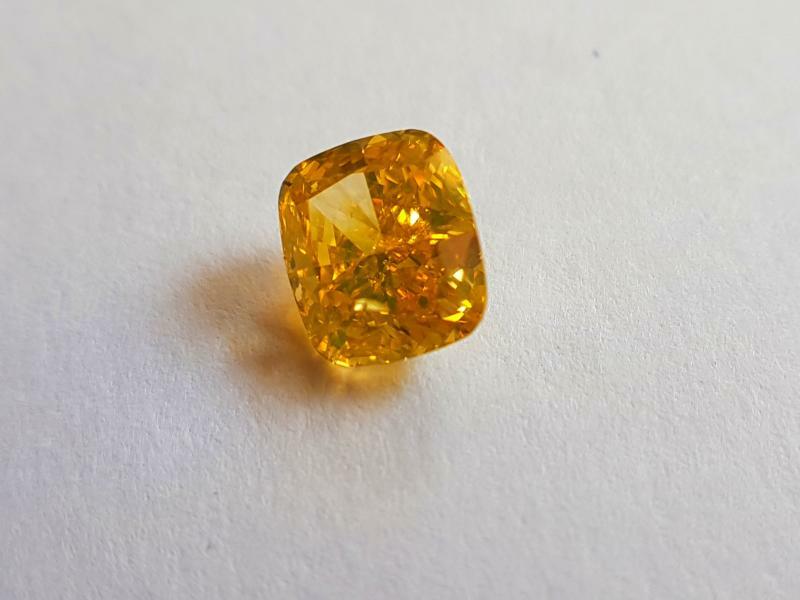 100 carat wholesale fancy color diamonds, size 0.01 to 0.20 cts, mix natural color diamonds like Fancy Pink, Intense Orange, Intense Green, Intense Yellow, light Blue, Round Brilliant Cuts, SI-VS Clarity, Please email for wholelsale interested parcel. We can sale also 5.00 carat diamond parcel from any color diamonds lots or require of your any quantity. 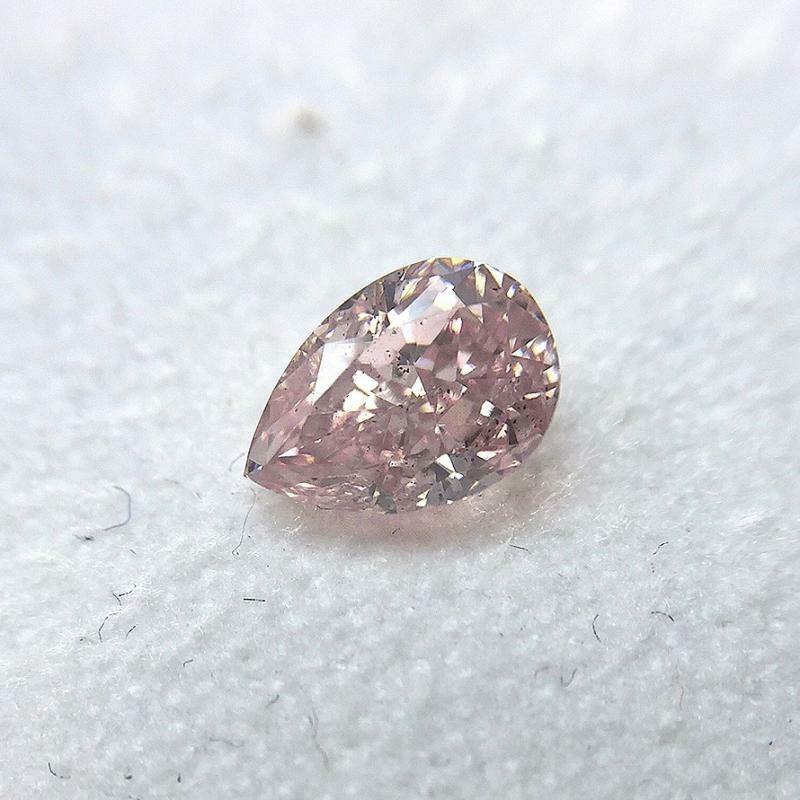 0.40 Carat, Natural Fancy Light Pink Diamond, Cushion Shape, SI Clarity, Please email for price. 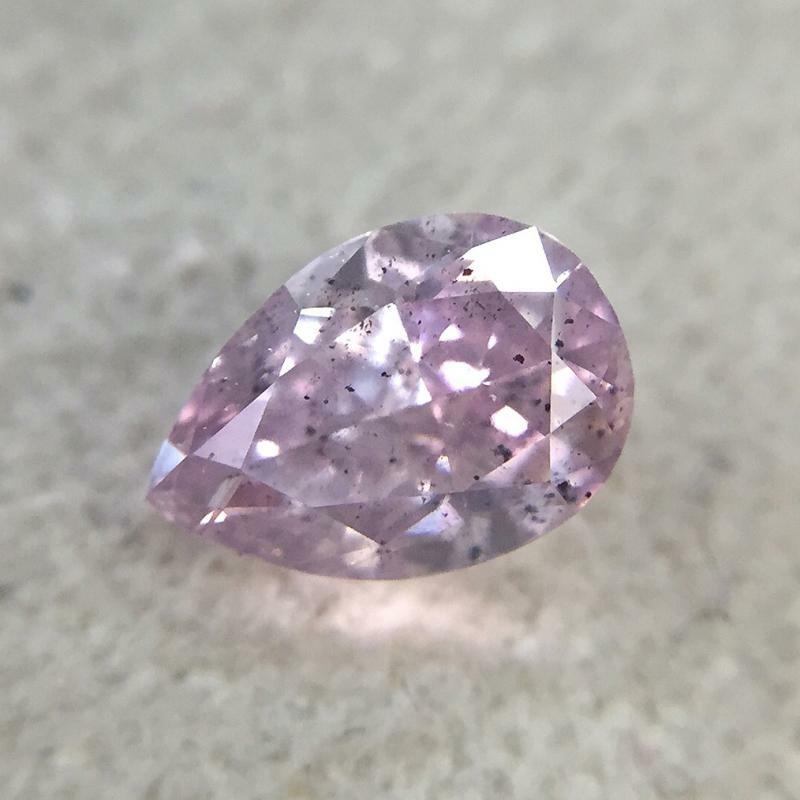 Natural Fancy Purple Pink Diamond, Pear Shape, Size 0.23ct and 0.30ct, Natural Fancy Bluish Gray Diamond, Cushion Shape, Please email for price. 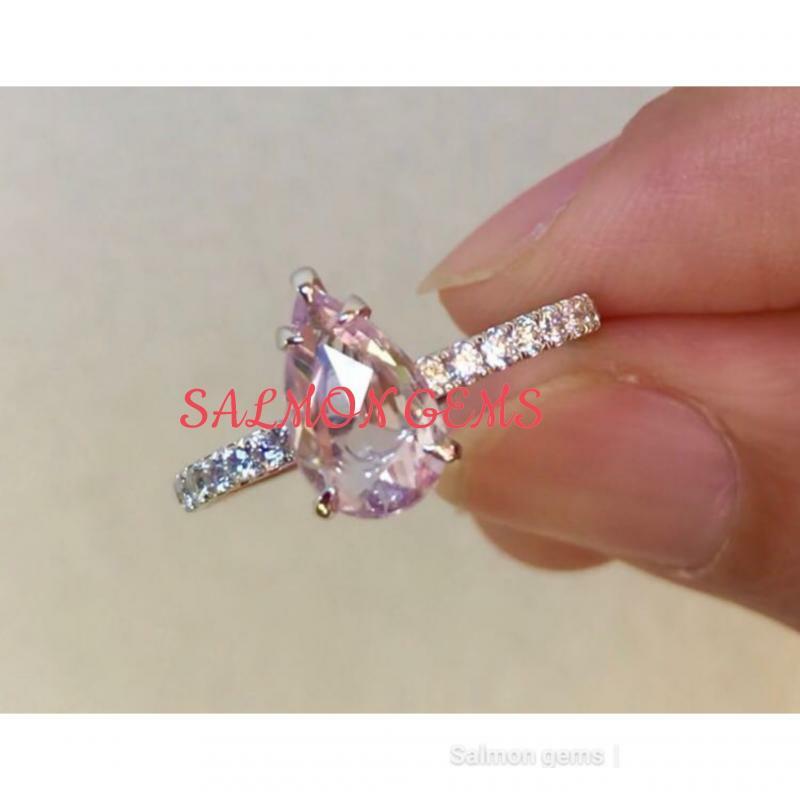 0.50Ct, Natural Fancy Light Purple Pink Diamond, SI Clarity, Cushion Shape, Please email for price. 0.55Ct, Natural Fancy Purple Pink Diamond, Pear Shape, Clarity SI2, Please email for price. 0.53ct, Natural Fancy Medium Purplish Pink Diamond, Pear Shape, Please email for price. 0.51 Ct, Natural Fancy Purple Pink Diamond, VVS Clarity, Cushion Shape, Please email for price. 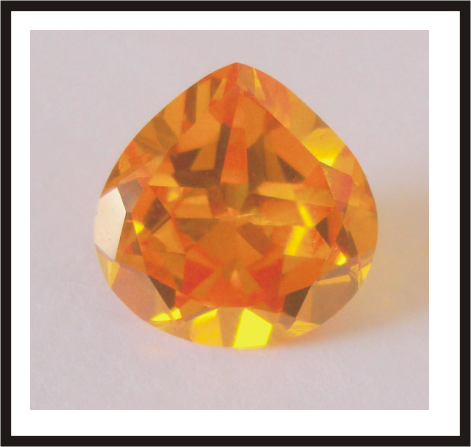 1.00Ct, Natural Fancy Intense Greenish Orange Diamond, SI1 Clarity, Cushion Shape, Please email for price. Natural Light Pink Diamonds & Natural Fancy Gray Diamonds Mix parcel. 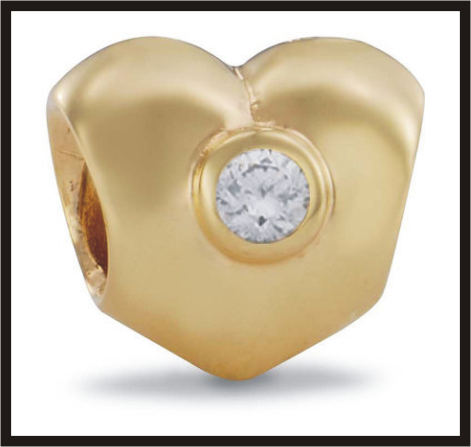 Size 0.05 to 0.20 Ct. Round Cut, 20 carat parcel, SI-i1 Clarity. Please email for price. 40ct Lot the most beautifully rare collection of our Natural Fancy color diamonds lot Clarity VS & SI, in Fancy shapes Very Strong Argyle Pure Pink diamonds, Intense Pink, Pure Orange diamonds & Red diamond. 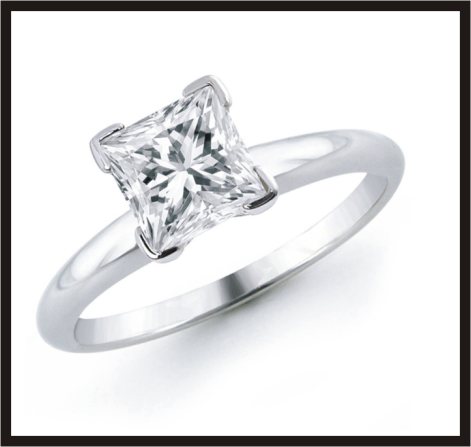 Weight 0.10 to 0.30ct, Clarity SI1, Please email for price. 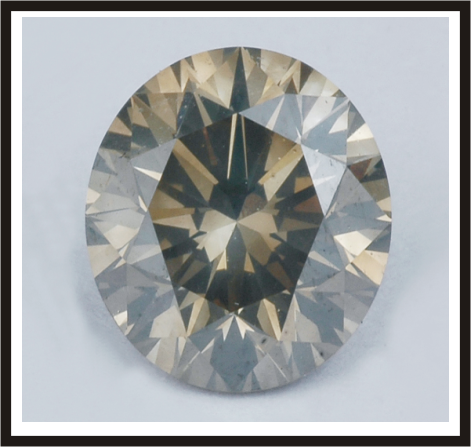 Natural Fancy Bluish Gray Diamond, 0.30Ct, Round Brilliant Cut, Please email for Price. 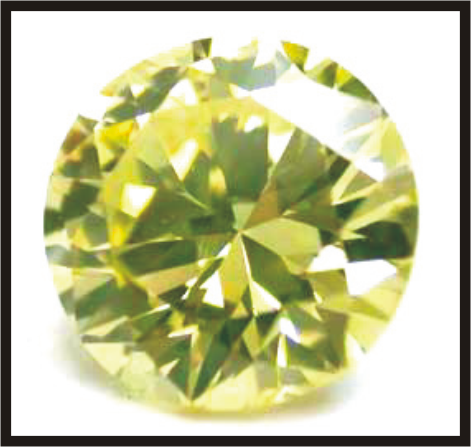 0.70ct, Natural Fancy Greenish Diamond, Cushion Shape, SI1 Clarity, Pls email for enquiry. 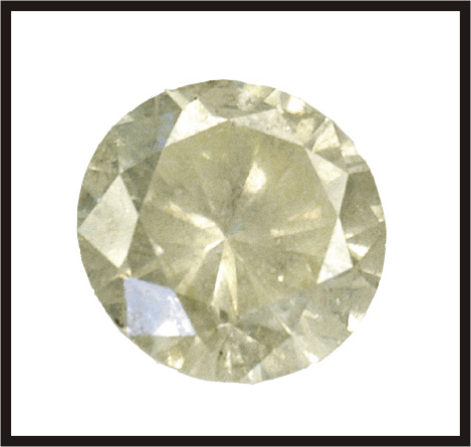 The ever increasing popular Canary Yellow Diamonds are a favorite. 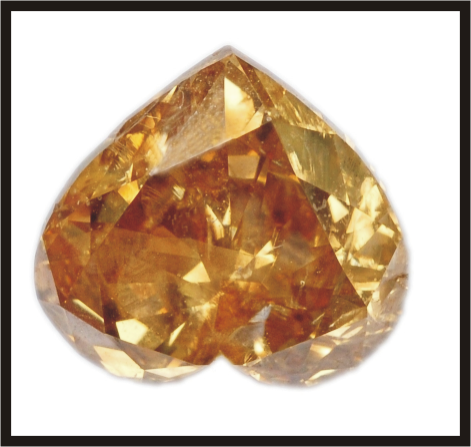 Find your perfect Yellow Diamond at U.S.I. DIAMONDS by GIOVANNI ENRICO - O.L. 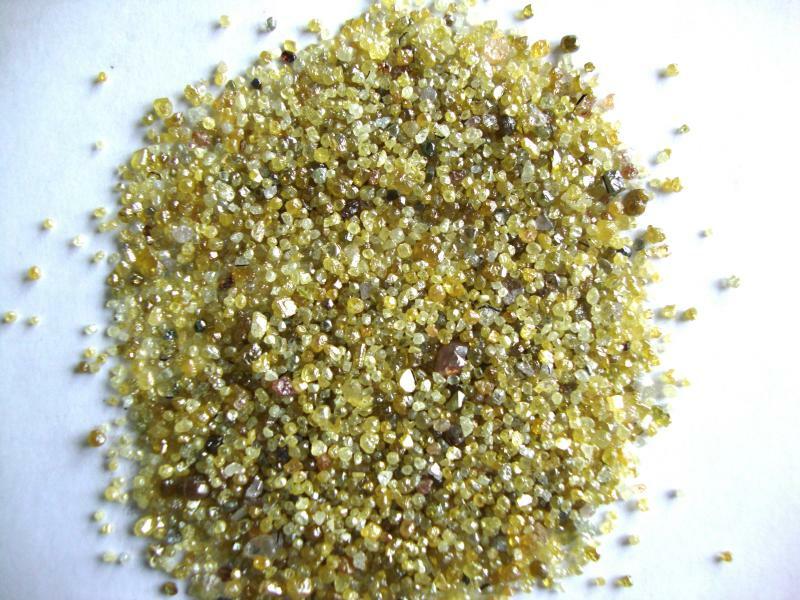 GEMS GROUP Choose from pastel to vibrant Intense Yellow Colored Diamonds. 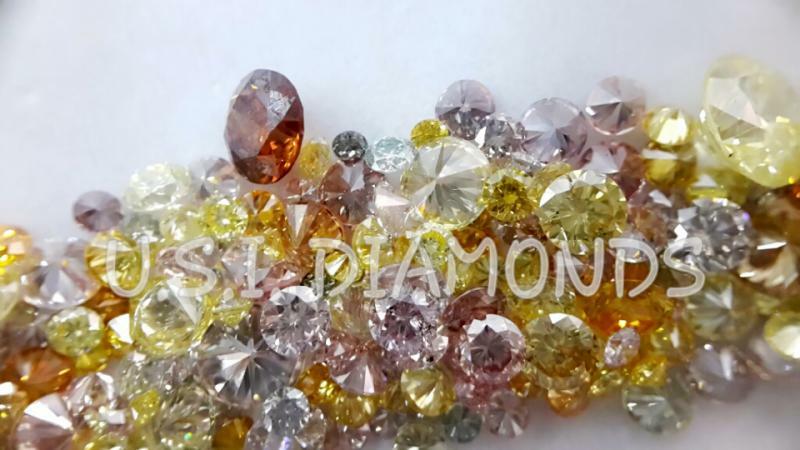 Latest 20carat lot, Natural fancy color diamonds Pink, Red, Orange & Golden natural color, Size 0.30 to 0.80ct Round Cut, Clarity SI, Please email for price. Natural Fancy Intense Yellow Diamonds Size 0.01 - 0.03 ( 20CTW LOT ) Round Cut Clarity VS, Cutting polishing very good, Price $475/ct. Natural Fancy Intense Orange Diamonds 0.005 to 0.01 Round Cut, Clarity VS-SI diamond cutting polishing very good, Please email for price. Natural Fancy Intense Green Diamonds Size 0.01 to 0.10. Round Cut, Clarity SI1+ Very good cut & polish, Please email for price. Natural Fancy Lemon Green Diamonds Size 0.005 t to 0.02 Clarity VS, Round Brilliant cut, very good cut & polish, Please email for price. Natural Fancy Light Pink Diamonds Size 0.005-0.006-0.008-0.009 smallest sizes, Clarity SI1, cut polish very good, Please email for price. 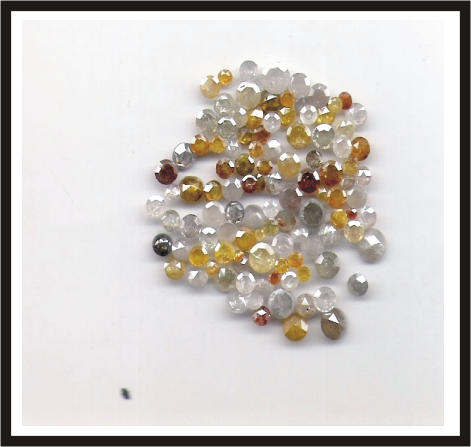 Natural Fancy Multi color diamonds in fancy shapes, 15.00ct lot, 0.05 to 0.10ct, SI1 Clarity, Please email for price. 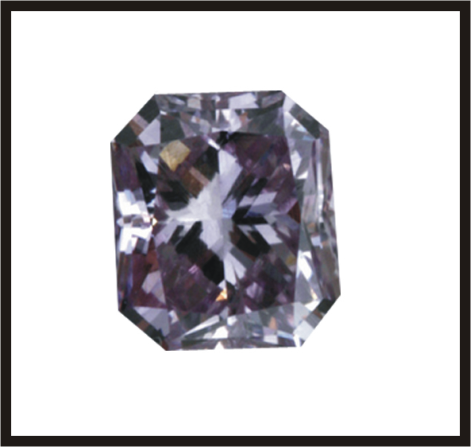 Argyle Fancy Purpler Pink Diamonds, 1.00ct 20 Diamonds, Please email for price. Brown Diamonds Round Cut, Size 0.02 to 0.05ct, 250Carat Lot, Please email for price. Double Cut faceted rose cut diamonds 25ct lot, Color FGH, Clarity VS, Shapes Round & Fancy cut ( Round, Oval, Cushion, Pear & Marquise, Size 2.5mm to 0.40ct, Cut & polish VG, Please email for price. 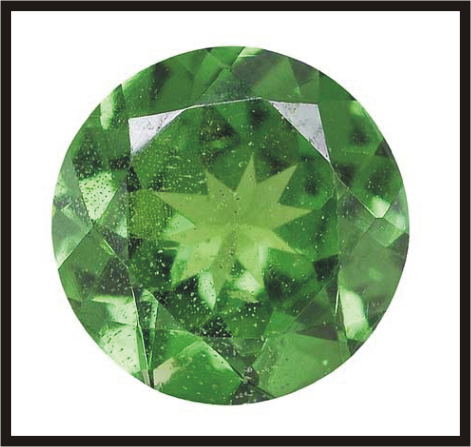 0.42ct Natural Fancy Green Diamond, Cushion Shape, Clarity SI, Please email for price. 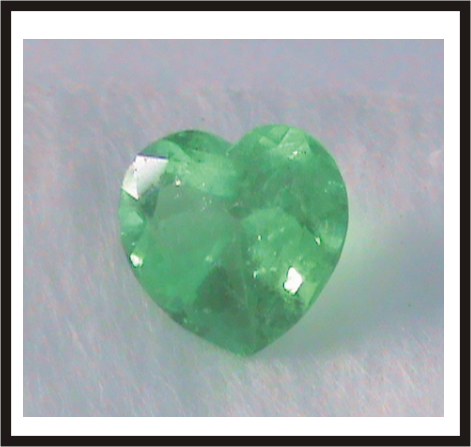 0.40ct, Natural Fancy Deep Green Diamond, Pear Shape, Clarity SI1, Please email for price. 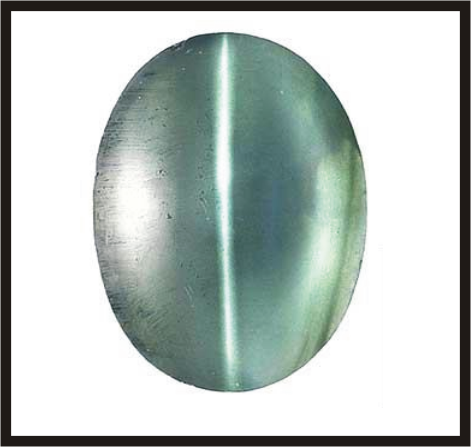 0.70ct, Natural Fancy Green Diamond, Oval Shape, Clarity SI1, Please email for price. 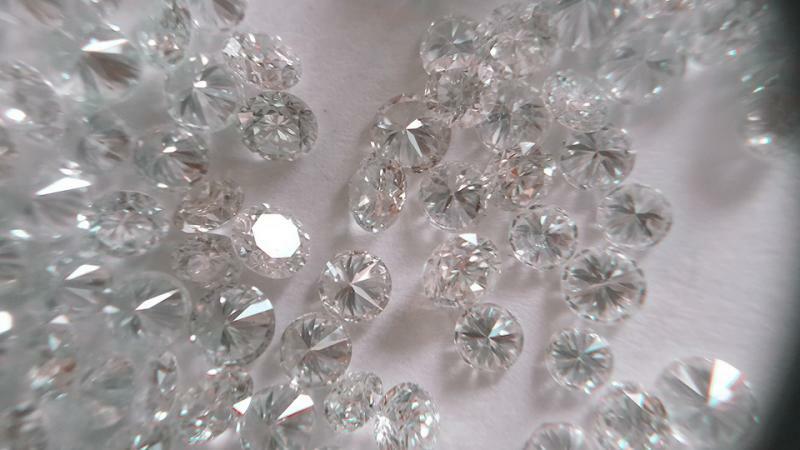 30 carat Melee Diamond Lot, 0.01 to 0.10ct, FG,VS/SI, Round Cut, cutting polishing VG, Please email for price. 60 carat melee diamond lot, H-I, VS Clarity diamonds, Round cut, cutting polishing VG, Please email for price. 0.15ct to 0.33ct, 25ct diamond lot, GH SI, Round cut, cut polish VG, Please e-mail for price. 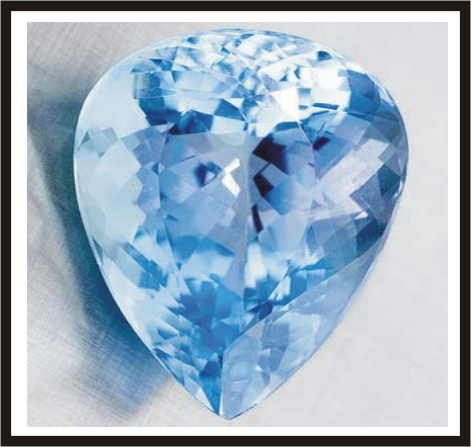 0.01-0.02ct, Treated Ocean Blue Diamonds, 15ct Lot, Round Cut, cut polish VG, Please email for price. 0.10 - 0.20ct, Treated Ocean Blue Diamonds, 12ct Lot, Clarity VS, Cut Polish very good, Please email for price. Fancy shapes, 15ct lot, Natural Fancy color diamond Orange, Golden, & Light Pink diamonds, SI Clarity, Cut polish very good, Please e-mail for price. -2 Seive Diamonds GH VS Round Cut diamonds, 10ct Lot, Cut Polish Very Good, Please email for price. 0.01-0.03ct Natural Fancy Light Pink Diamonds, Eye Clean, 100pcs lot, Please email for price. Baguette Diamonds 30 carat parcel, Size 0.10 to 0.20ct, GH/VS-SI, Cut polish very good, Please email for price. Orange Diamonds, Pinkish Red Diamonds,Golden Diamonds, Strong Green Diamonds parcel, round fancy cut, Size 0.10 to 0.40, Please email for price. 15carat 0.05-0.10ct Size, Natural Multiple Color Diamond parcel, Fancy Shapes, Clarity SI, Please email for price. 50carat Melee Diamond Lot, Color F/G, Clarity VS-SI, Round Brilliant Cut, VG Cut & Polished, Please email for price. 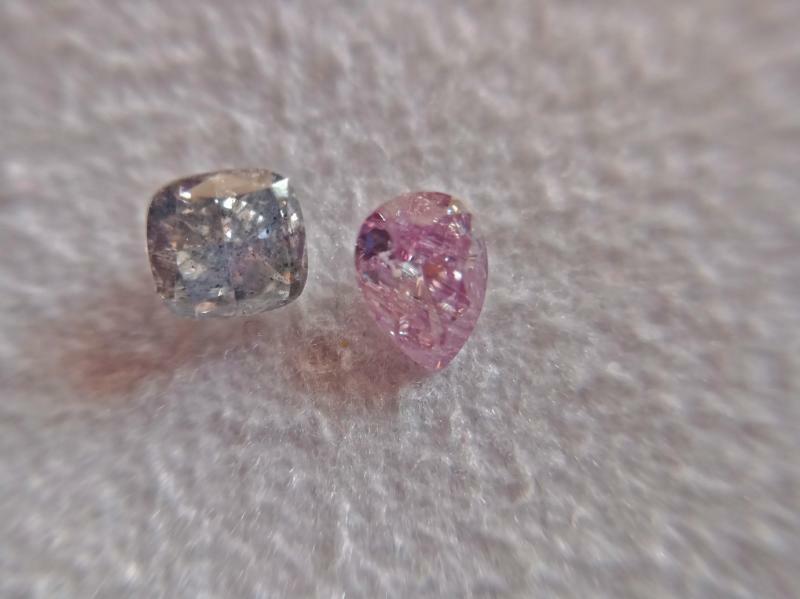 Natural Color Puple Pink Diamonds, 1mm to 2mm, Round Cut, SI1 Clarity, Please email fo price. 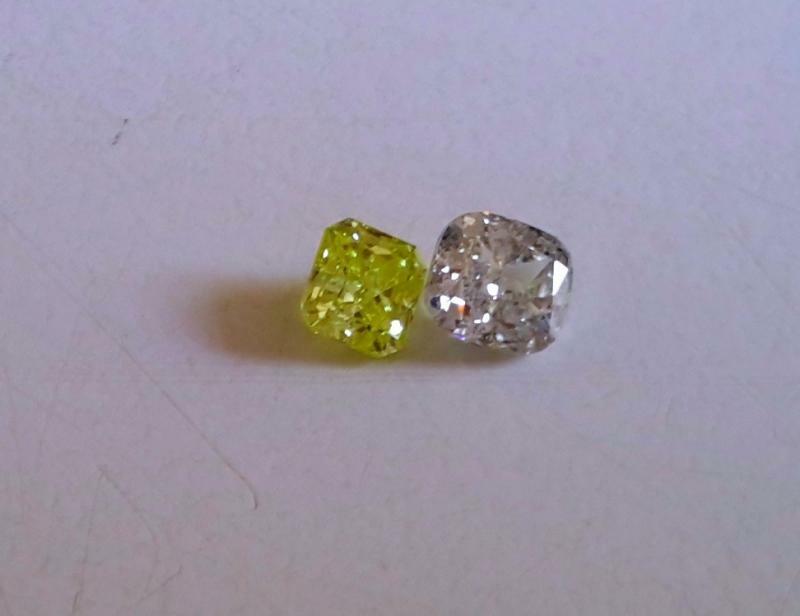 11carat Lot, Fancy Canary Yellow Diamonds, 1mm-2mm, SI Clrity, Round Brilliant cut, Please email for price. -2 Sieve Size, Natural Light Pink Diamonds, Round Brilliant Cut, SI1 Clarity, Cut & Polished Very Good, Please email for price. Real Fancy Blue Diamonds 1mm to 2.5mm, 30 Diamonds, Round Brilliant cut, Total parcel weight 3.00carat, Please email for price. White Melee Diamonds, F VS, Cutting Polishing Very Good, Round Brilliant Cut, Please email for price. Melee Diamonds G SI1 0.005 to 0.02ct Size, 30ct Lot, Round Brilliant,. Please email for price. 15.00 Carat parcel of Natural Fancy Pink Diamonds, Round Brilliant Cut, Size 0.01 to 0.20ct, SI Clarity, Please email for price. Argyle Fancy Light Pink Diamonds, Fancy Shapes, 0.10 to 0.30ct, SI Clarity, 50 carat parcel, Please email for price. Melee Sizes Australian Fancy Light Pink Diamonds SI Clarity, Round Brilliant cut, Wholesale Please email for price. 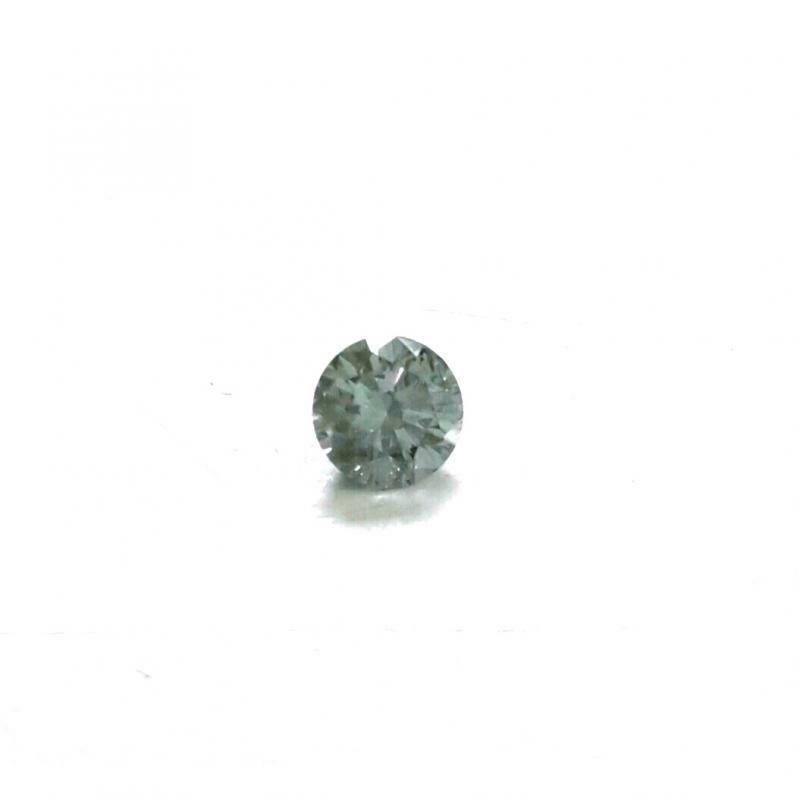 Natural Fancy Chameleon Color Diamonds, 5.00 carat parcel, Melee Sizes, 0.01-0.15ct, SI1 Clarity, Round Brilliant cut, Wholesale parcel please email for price. 1.04carat, 0.01-0.05ct, Natural Fancy Argyple Pink Diamonds parcel, SI1 Clarity, Round Brilliant Cut, Please email for price. 18 Carat parcel, Natural Fancy Intense Argyle Pink Diamonds, Size 0.01-0.10ct, SI1 Clarity, Wholesale parcel, please email for price. 30 Carat Lot, 0.20-0.40ct, Fancy Shapes, Color Natural Fancy Pink Diamonds, SI Clarity, Wholesale parcel please email for price. 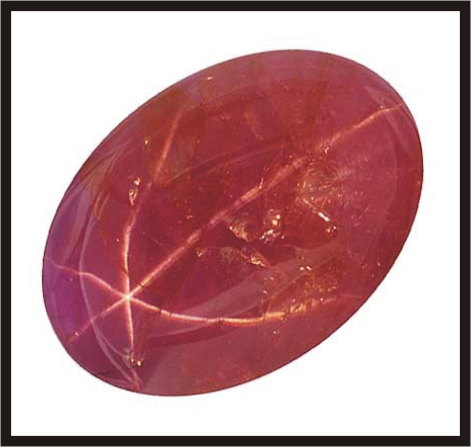 20 Carat Parcel, Natural Fancy Orangish Red Diamonds, Melee Sizes, Round Brilliant Cut, SI Clarity, Wholesale parcel, this price for whole parcel per carat if you choose 1 stone or more, please email for price. 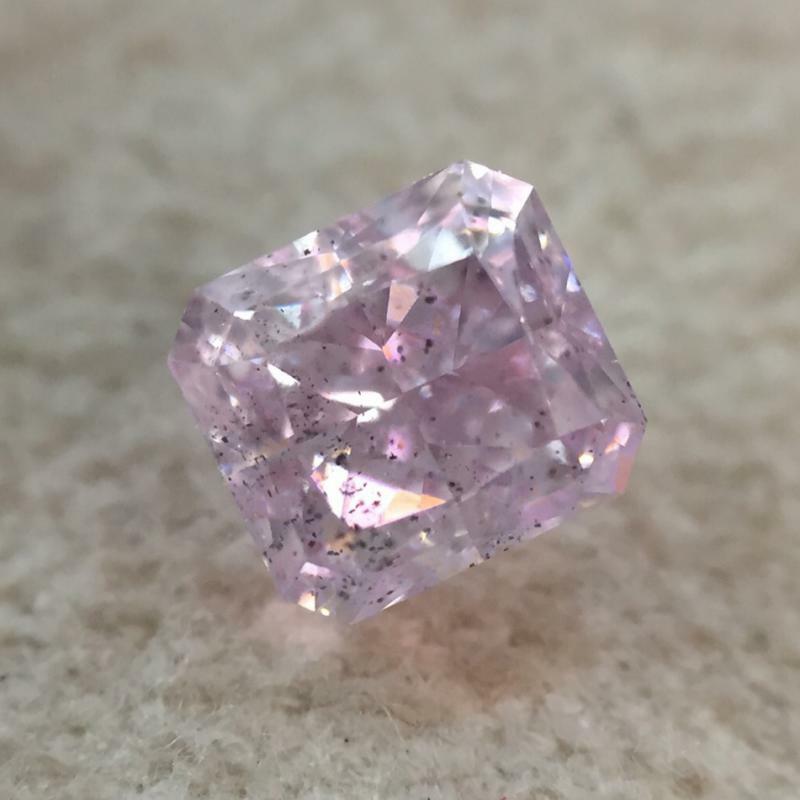 10.00 Carat Parcel, Natural Fancy Argyle Pink Diamonds, Size 0.005-0.02ct., SI1 Clarity, Round Brilliant Cut, Whole Parcel, please email for price. 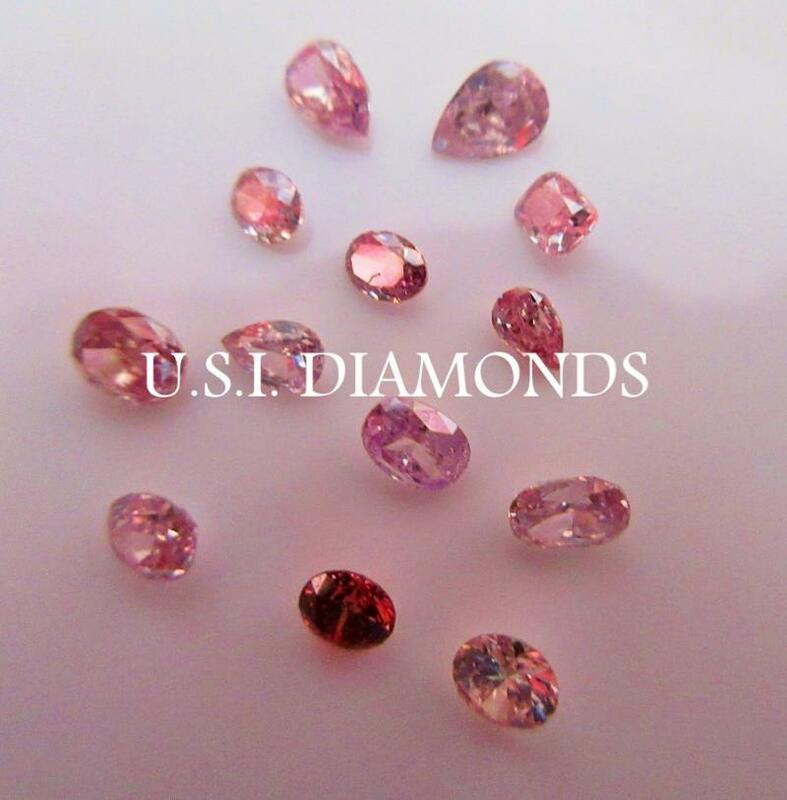 Wholesale 50 Carat Parcel, Natural Fancy Light Argyle Pink Diamonds, Clarity SI1-SI2, Melee Sizes Round Brilliant Cut, Whole Parcel Please email for price. 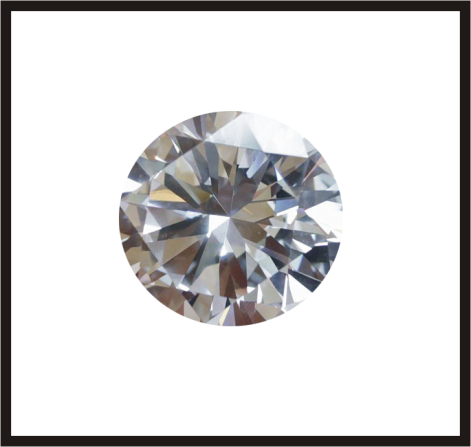 Clarity VS / SI, Color EFG, Malee Diamonds 0.90mm to 2.00mm, Round Brilliant Cut, Very Good cut & polished, Please email for price. Melee White Diamonds, Clarity SI1, Color F, Round Brilliant Cut, Cut Polished Very Good, Please email for price. 3.00ct, Natural Gray Diamond, I1 Clarity, Round Brilliant Cut, Please email for price. 20 Carat Natural Fancy Pink Diamonds Parcel 20 carat, Sizes 0.01-0.10ct, SI Clarity, Round Brilliant Cut, Please email for price. 40 Carat Natural Fancy Pink Diamonds, Total parcel weight 40 Carat, Size 0.05 to 0.10ct, SI Clarity, Please email for price. 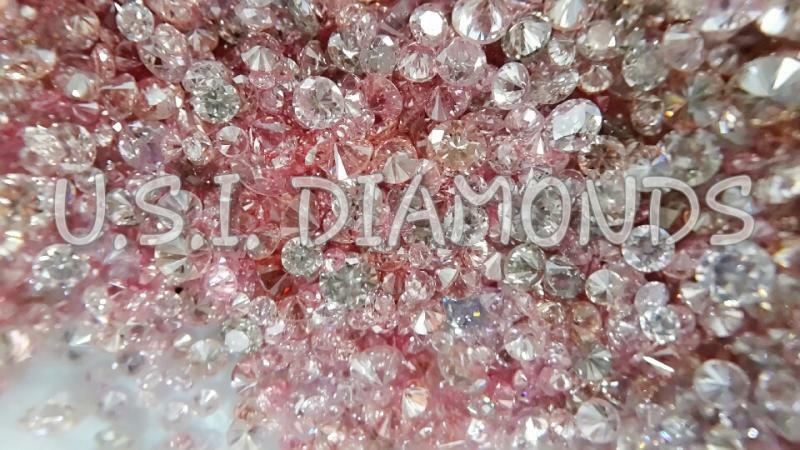 Natural Fancy Intense Pink Diamonds Melee Sizes parcel, SI Clarity, 30 carat parcel, Whole parcel, please email for price. 0.90mm t0 1.3mm, -2 Sieve, White Melee Diamonds, FG, VS, Roubd Brilliant, Please email for price. 0.38ct, Natural Fancy Light Brownish Purple-blue Pink Diamond, Cushion Shape, Clarity, Please email for stone picture and price. 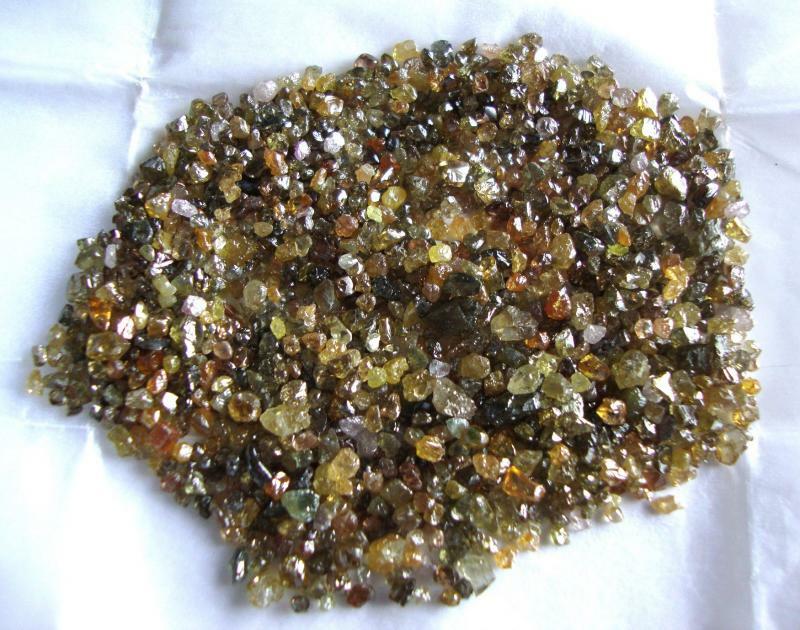 20 carat, Natural Fancy Mix natural color diamonds parcel, Green, Orange & Yellow diamonds, SI Clarity, Round Brilliant Cut, Please email for price. 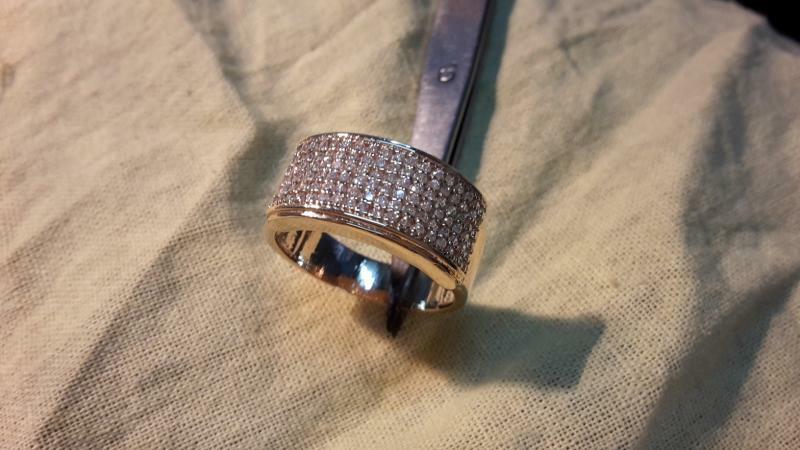 -2 Sieve GH SI1, Round Brilliant Cut diamond, 100 carat parcel, Please email for price. 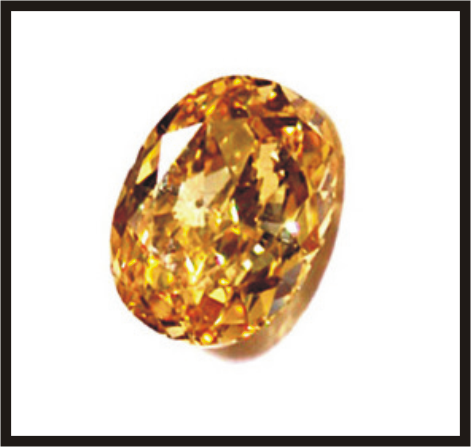 Natural Cognac Color Diamonds, Size 0.01 to 0.03 cent, Round Cut, SI Clarity, Please email for price. Natural Brown Diamonds 0.05 to 0.10 ct sizes, Round cut, SI Clarity, 20 carat parcel, Please email for price. Natural Fancy Pink Diamonds parcel, +2 minus eleven sieve sizes, round brilliant cut, SI Clarity, 30 carat parcel, Please email for price. Natural fancy intense pink diamonds, 1.5mm to 3mm, round brilliant cut, SI Clarity, 15 carat parcel, please email for price and picture.